As your roofing contractor in Dayton, Ohio we deliver expertise and integrity, from first proposal to final perfection. We are grateful you’ve made us your choice for roof repair or a new roof. With more than a 25 years of excellent service, you can trust us for repair and installation of roofing and gutters. The foremost roofing contractor in Centerville, Ohio – Call 937-681-8910 and ask for a free estimate. Your free estimate will actually be written by our owner, after a detailed inspection of the work to be done, measurement of your roof, and your decision on the roofing material you prefer. And he’ll be back to answer any questions you have during the work. Of course, his visits to the job site ensure quality workmanship, a clean and safe project, and value for your installation dollar. Our owner, Mike Baker, insists we exceed your expectations those of the local building inspector. The boss accepts nothing less than the best, since he believes you’ve chosen us to be your roofing contractor in Dayton, Ohio because we guarantee the best. As you can see, we will make certain your job is done right – the first time. When it’s time for a replacement roof, we are the roofing contractor in Dayton, Ohiio to give attention to both energy efficiency and exterior decor. Ask your roofing contractor in Centerville, Ohio about ENERGY STAR tax information. Federal energy experts say it is possible to cut cooling expenses in half by installing an energy-efficient roof. Energy-efficiency comes from what are called “reflective” roofs. The light color, and material design bounce away as much as 90% of the sun’s energy. This will cut the demand for cooling so significantly, your new roof can pay for itself in roughly seven years. 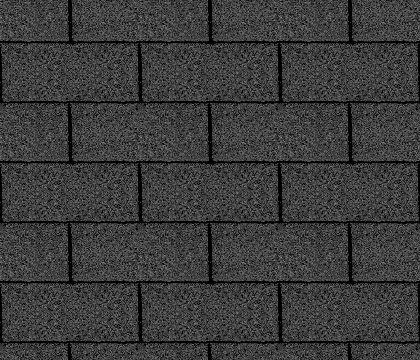 Other cost savings: proper attic ventilation will extend the life of an asphalt shingle roof, saving the cost of replacement. Make us the roofing contractor in Dayton, Ohio to install your ventilation. Effective gutters and downspouts reduce pooling which causes deterioration and promotes leaks. You save on repairs. Asphalt: There’s a reason it’s a classic. It’s affordable, durable, and now comes in shapes and thicknesses that augment décor. Slate: your roofing contractor in Centerville, Ohio gives you a choice between real slate and synthetic slate. Synthetic slate is light, often made from recycled material, and still can carry warranties of up to 50 years. Metal is a “storm shield” which is designed to withstand hurricane winds and rain. Plus a metal roof cannot be penetrated by hail, will never decompose and can last a lifetime. Tile: terra cotta only begins the list of options. Tiles are surprisingly light weight, long-lasting, and now come in a variety of exterior-enhancing colors. Many people think that once a roofing contractor in Dayton, Ohio comes out and isolates a problem, the next step has to be replacing the entire roof. Just as often, our experts can suggest repairs and partial replacements that allow you to plan for the day you’re ready for a new roof.